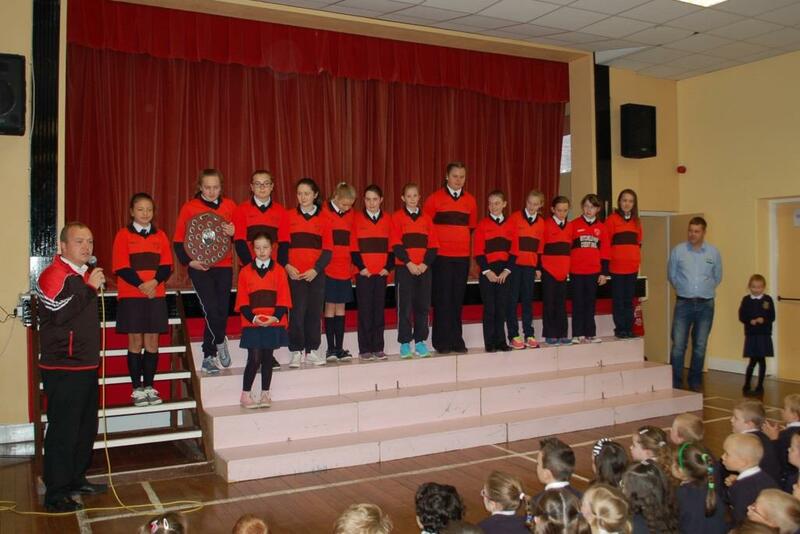 We were delighted to welcome the girls from the Mitchelstown Under 12 ladies football team to the halla one morning in September. 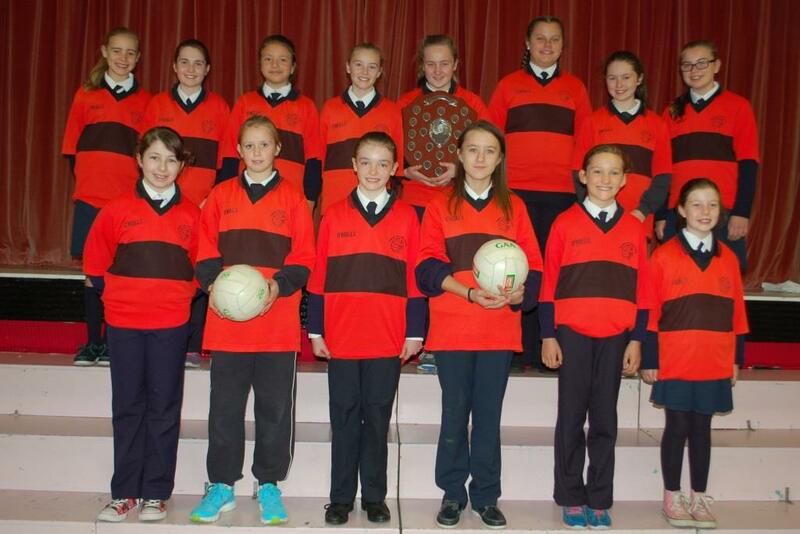 On the 18th of September the girls were victorious in the North Cork U12's football final. 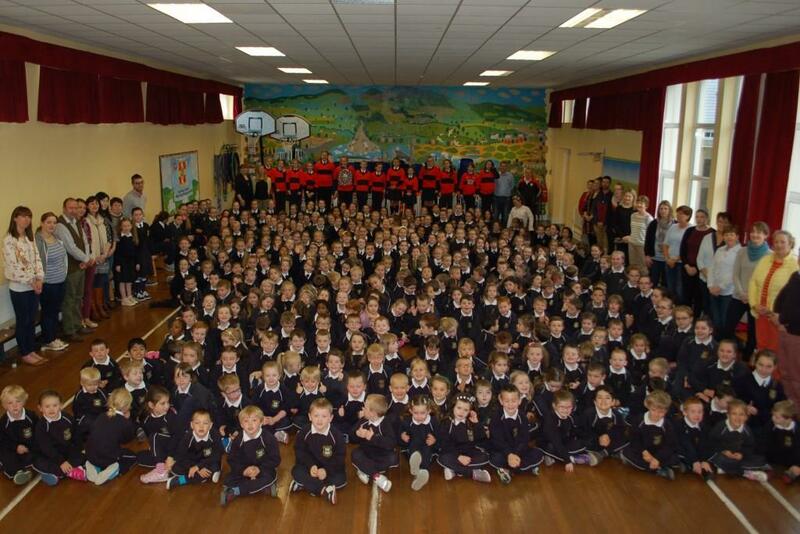 They played Knocknagree in Castlemagner in a very close match. On the day, the girls won by 3 points. They were accompanied to the stage by their trainers Paddy Coleman and John Conway and received a huge cheer from all the boys and girls in the Halla. Their captain, Ciara O'Sullivan (who was unfortunately injured on the day) spoke on behalf of all the girls as did trainer Paddy Coleman. 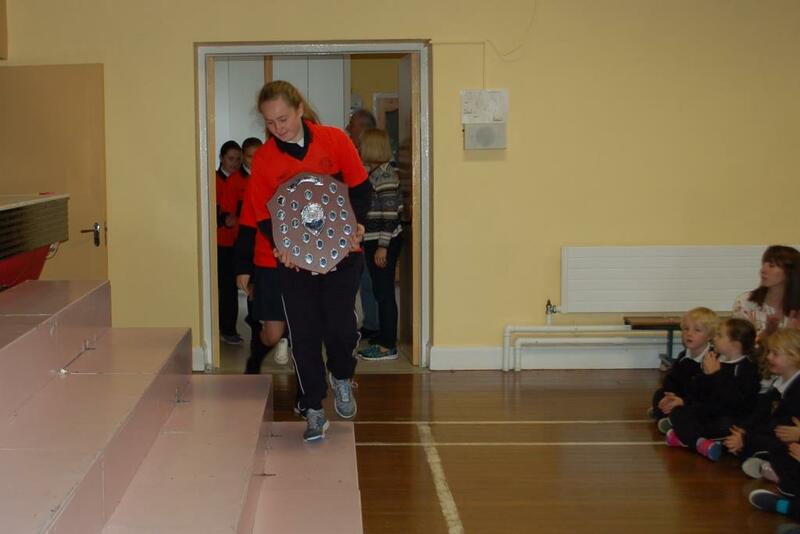 Ms Hayes-Brennan acknowledged the contribution of Ms O'Brien who has coached the girls in both football and camogie and encouraged the girls to participate in sports. Well done to the girls on their mighty win, we're all so proud of your achievement!! !